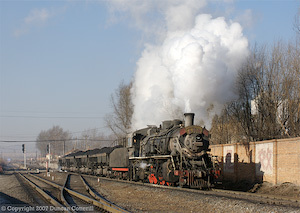 A marathon three-week trip to northern China in Winter 2010, visiting the best of the remaining steam operations at Sandaoling, Jixi, Huanan, Tiefa, Fuxin, Beipiao, Pingzhuang, Yuanbaoshan and Hongmiao. 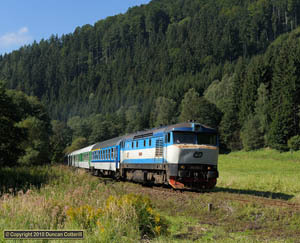 Despite the decline in steam working over the past year, we still saw almost 60 locos in steam. 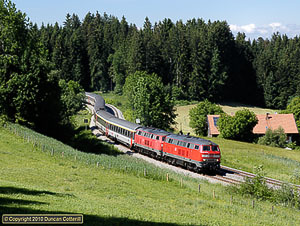 A short trip to the Rhätischebahn in late summer to fill in some gaps in my photographic coverage of the line. 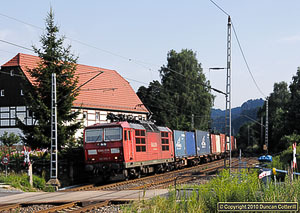 The trip was made more interesting by an unexpected line closure and the resulting freight diversions. 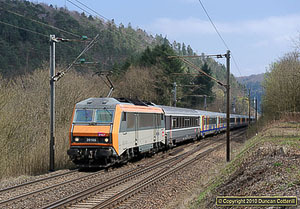 There was still plenty of work for the veteran class Ge4/4i electrics despite the arrival of more new units. 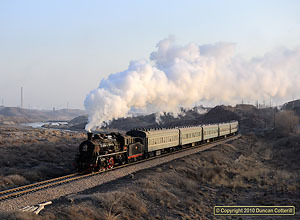 The Chinese Loco Lists detail the whereabouts of individual Chinese standard gauge steam locomotives over the past 30 years, based on sightings reported by visiting foreign enthusiasts and, increasingly, Chinese enthusiasts. 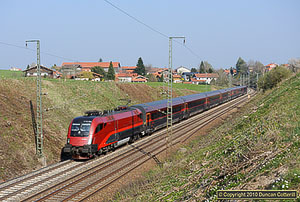 While the lists are far from complete, they do contain information on over 7000 locomotives of more than 50 classes, from industrial 0-6-0 tanks to the mighty QJ 2-10-2s. The list have now been updated to include sightings up to May 2010. 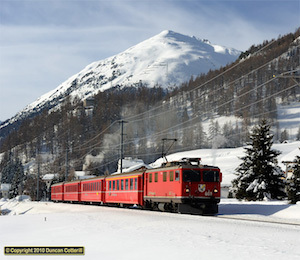 After ten years a return to the Gotthard Pass was long overdue. 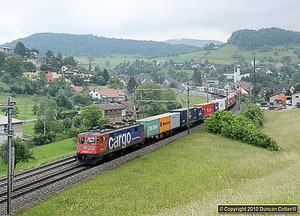 The Gotthard is one of Europes busiest freight routes, carrying heavy traffic between Germany and Italy through the heart of the Swiss Alps. 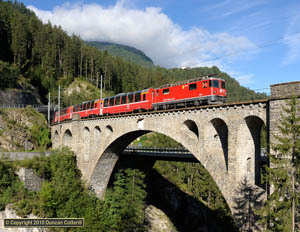 While in Switzerland, I also followed a tip off that there were some worthwhile photo positions around Frick on the Basel - Zürich line and had a look at the MGB’s metre gauge line around Andermatt and the Oberalp Pass. 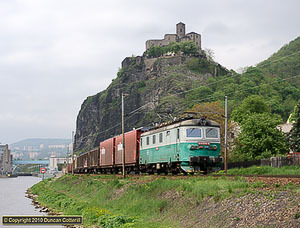 The Strasbourg - Sarrebourg line crosses the Vosges via the Saverne Gap, the narrow twisting valley of the River Zorn that provides a relatively easy route through the mountains for the railway and the parallel Rhine - Marne Canal. 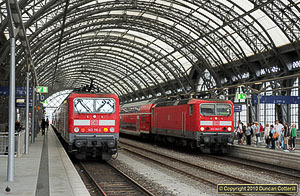 Passenger services are operated by TGVs, loco hauled passengers, push-pull sets and EMUs and there are freights hauled by a variety of locomotive types. 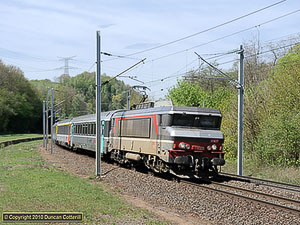 This report describes a couple of short visits to the Strasbourg - Sarrebourg line, a busy and scenic, double-track, electrified route through the Vosges in eastern France. 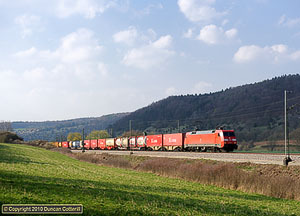 The line forms part of the Luxembourg - Strasbourg - Basel and Paris - Strasbourg - Stuttgart axes and carries a wide variety of traffic including TGVs, loco hauled passengers, EMUs and heavy freights. 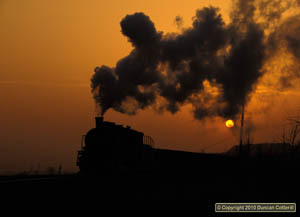 It’s getting harder to find photogenic, busy, steam worked industrial systems in China. 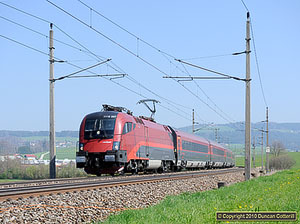 Both the systems we visited in early March 2010 were under threat of modernisation in the near future. 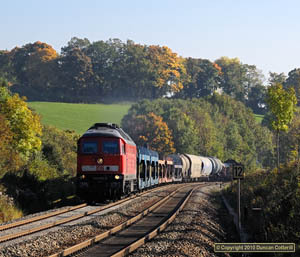 The best part of the Jixi system is expected to be electrified during 2010 and Baiyin received its first diesel a couple of weeks before our arrival and a second was being commissioned while we were there. The steam action was still excellent but it felt like the end was getting close. 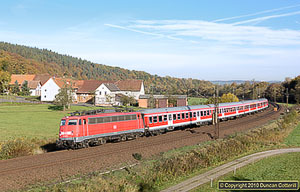 This report covers two trips to the Rhätischebahn in January 2010. 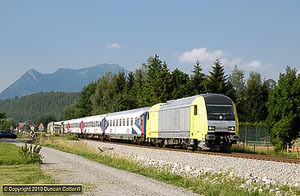 The first of a large fleet of new EMUs has just entered traffic and the next couple of years will see big changes to the current fleet of locos and motor-coaches. This was probably the last chance to photograph a full winter service with the 60 year old class Ge4/4i locos playing a full part. The weather had other ideas though.